This is the hardest blog post I have ever written in over 8 years on Pink Julep. I have written, deleted and re-written it several times. 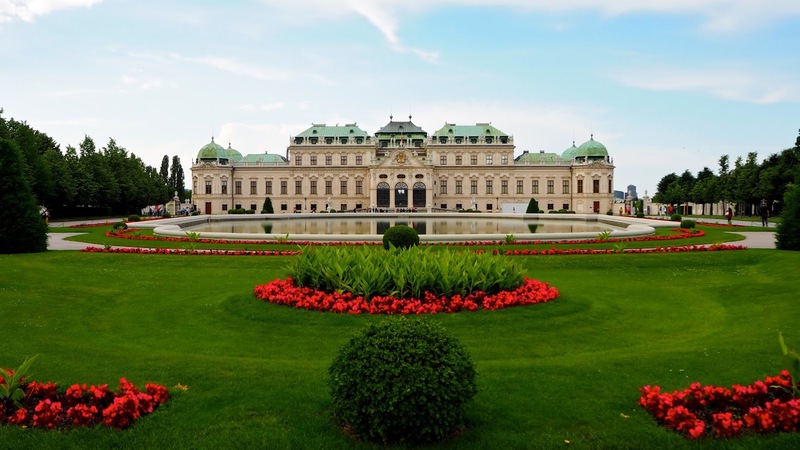 It's difficult partially because it's slightly personal, but also because it's directly related to the political climate not only in America, but elsewhere in the world. I don't like to be terribly political here because I want it to be a fun space, but I feel like I'd be cheating you if I didn't share this book because as serious and heartbreaking as it is at times, it's also a heartwarming, fun read. Whether you agree with some of the political points in this book or not, at its very core lies a story that's as entertaining as it is inspiring about a boy who grew up in a challenging environment and beat the odds to achieve success. J.D. 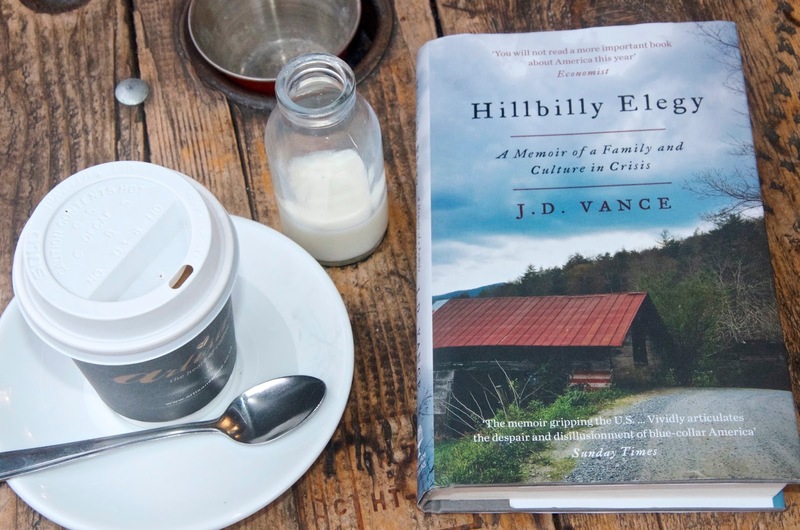 Vance has not only served as a United States Marine, graduated from Yale and had an accomplished career, he also now a published author and his book Hillbilly Elegy has been topping the New York Times Bestseller List for weeks. I went back and forth about whether or not I would read this book. I feared it would be somewhat personal for me or perhaps even a little offensive. If I'm honest, the title alone gave me the shivers... I feel as though I've spent my whole life trying to avoid being called a hillbilly, a stereotype that in my experience is rarely used in a positive context, but that word has been said about me more times than I care to admit. It wasn't long before I began to see this book in shop windows, on shelves and prominently displayed in bookstores as an explanation for a Trump Presidency and Brexit. Whether or not it explains either of those things, I don't know, but what it does do is tell a story from a point of view that I believe is quite often overlooked. Since buying Hillbilly Elegy I've been met with mixed reviews from my peers. As it turns out, I grew up not far from one of the two towns written about in the book. From sheer disappointment by those who think it's an unfair account of life and people in Appalachia to those who are relieved and excited at the idea of the story being told to bring more mainstream attention to the problems facing those who live there. To be fair, Vance takes a tough love stance on the unemployment and poverty in the Rust Belt, which is fairly controversial, but he doesn't write in a way that requires you in any way to agree with him whole heartedly. Whether you're on board with his theories or not, I think the book will still be enjoyable because the bulk of it is good old fashioned story telling and his stories couldn't be more interesting. With rich, strong characters, plenty of humor and a coming-of-age journey, it reads like a good movie. I laughed and I cried. Quite frankly, I loved it. Hillbilly Elegy is a memoir about the author J.D. Vance and his family who are from Breathitt County, Kentucky. His grandparents joined the mass migration north to Middletown, Ohio when jobs were scarce in Eastern Kentucky. Various factories were not only hiring, but so in need of a workforce that many of them offered referral schemes so multiple family members could be hired and make the move together. Vance grew up between the two places and while they were as different as night and day in the 1950's, they eventually grew in similarities as opportunities dwindled, factories closed, money ran out, jobs became scarce and drug abuse spiralled into an epidemic. 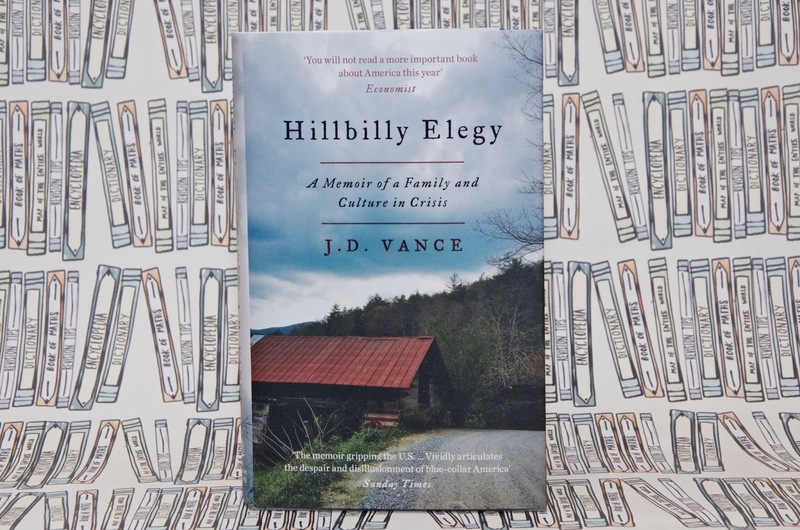 Hillbilly Elegy begins with the story of the family before Vance's mother was even born and continues through his life. From the grandparents who practically raised him to the struggles with his mother's addiction, Vance's story isn't just about him, but also about the colorful characters in in life who were there along the way and how they influenced him. As much as Hillbilly Elegy is about the author and his family, it also tells the story of the rise and fall of a region of working class American towns. Starting with the post-war migration out of poverty and into opportunity, followed by the prosperous and indulgent glory days of the 50's and 60's, then the decline when it all fell apart and finally, the aftermath, it's interesting to examine the timeline because there are so many towns like it across America. Now many of these once booming centers are like ghost towns with boarded up factories, rows of empty shopfronts and residents who are struggling to survive. The populations are dwindling as the young go away to college or find work and never return, or at least not to live permanently. The struggles are almost impossible to imagine. Vance's story weaves some of this history in between stories his life, which makes the book so interesting and gives it depth beyond the tales just one family. I'd definitely recommend Hillbilly Elegy. It's entertaining, charming, funny and touching, not to mention easy to read and a bit of a page turner. I finished this book in less than a week because I was so into it and I'm not at all surprised that it's been so successful in America as well as Internationally. For more information on J.D. 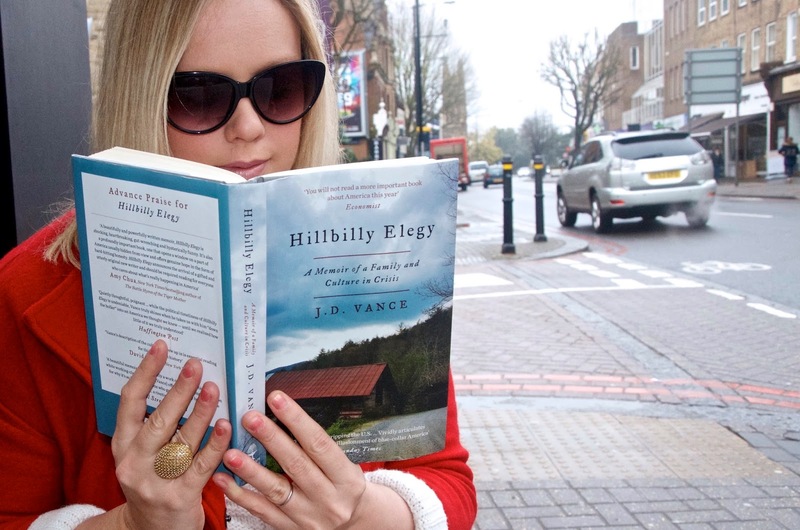 Vance and Hillbilly Elegy, you can visit the author's website at jdvance.com.